Traditional showers can be dangerous for those with limited mobility. To prevent slips, falls, and other injuries, install a disabled access shower so that you can regain your independence without risking your safety. Our handicap shower stall kits are ideal for wheelchair users, senior citizens, and those who suffer from mobility issues. By choosing one of our handicap-accessible shower kits, you can have the peace of mind that you’re getting a quality product that will keep you or your loved one safe. With a disabled access shower, you can comfortably sit while bathing, which minimizes the risk of slips and falls because of weak joints or extremities. 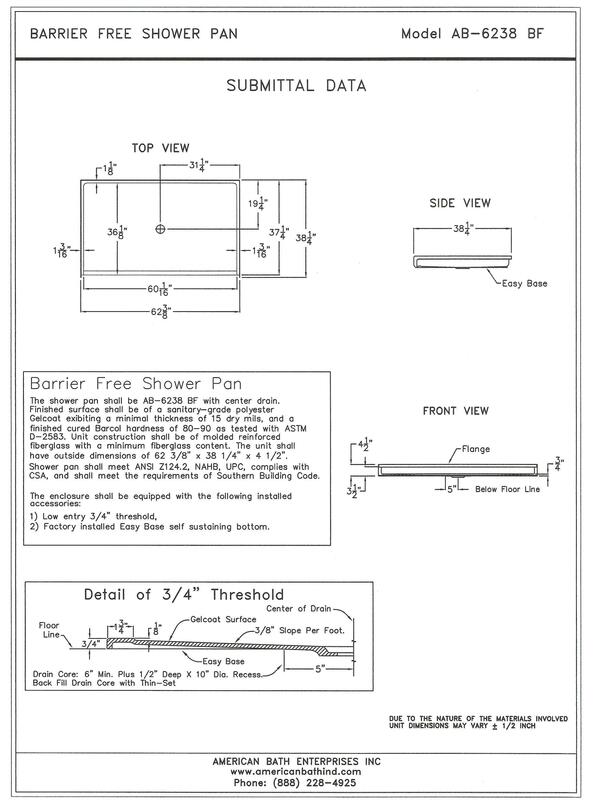 Our ADA shower enclosures are not only designed to be safe and compliant with ADA regulations, they’re also made with durability in mind. Enclosure walls are seamless and are made with high-gloss, high-quality acrylic that won’t crack or yellow. This means you can enjoy your walk-in shower with seat for years to come! PACKAGING: $30 PER ENCLOSURE UP TO 62″ HIGH, $40 PER ENCLOSURE OVER 62″ HIGH, $15 PER BOX FOR WINDOW KIT, AND $10 PER BOX FOR CORNER SHELF. THIS PRICE LIST IS EFFECTIVE JANUARY 1, 2017 AND REPLACES ALL PREVIOUSLY PUBLISHED PRICE LISTS. 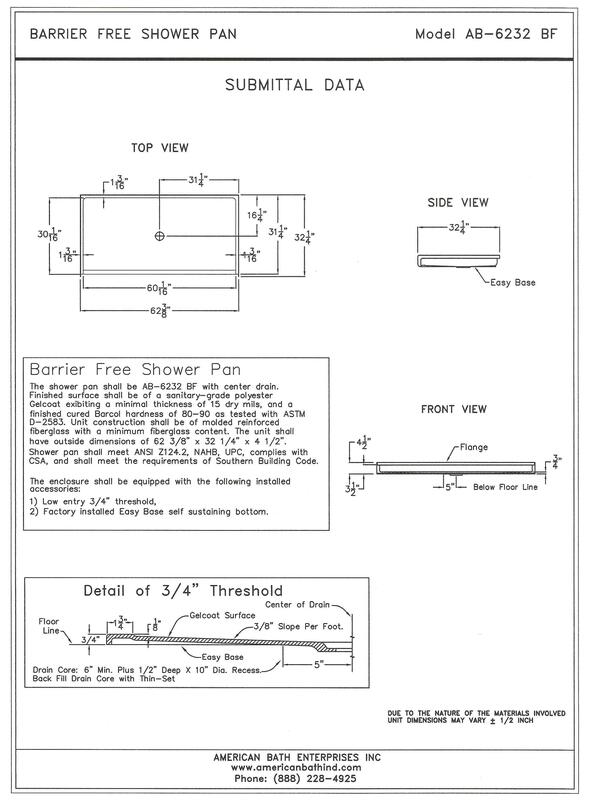 AMERICAN BATH ENTERPRISES, INC. PRICES ARE SUBJECT TO CHANGE WITHOUT NOTICE. Final height and width dimensions of the delivered products shall be within reasonable tolerances of the quoted height and width dimensions. 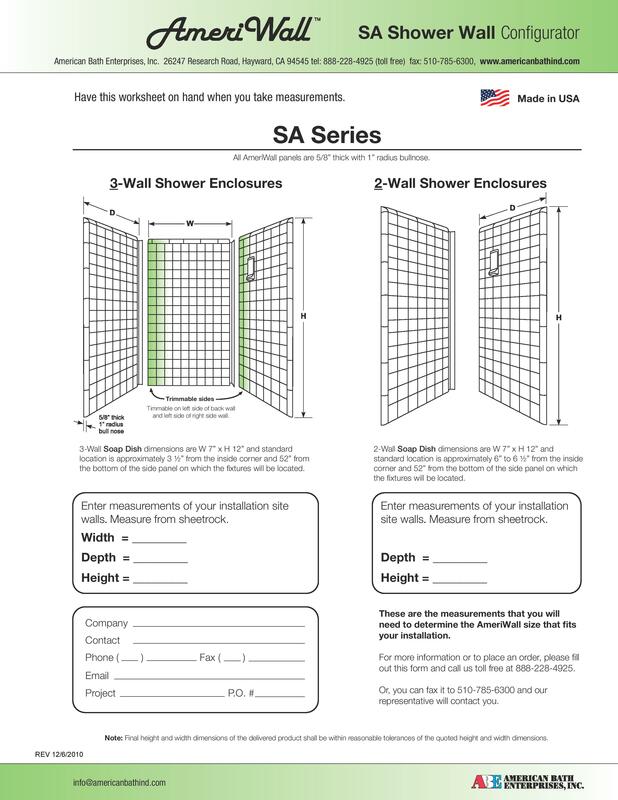 See the AmeriWall™ installation instructions or instructional video for information on how to install the AccessaBath™ shower walls. 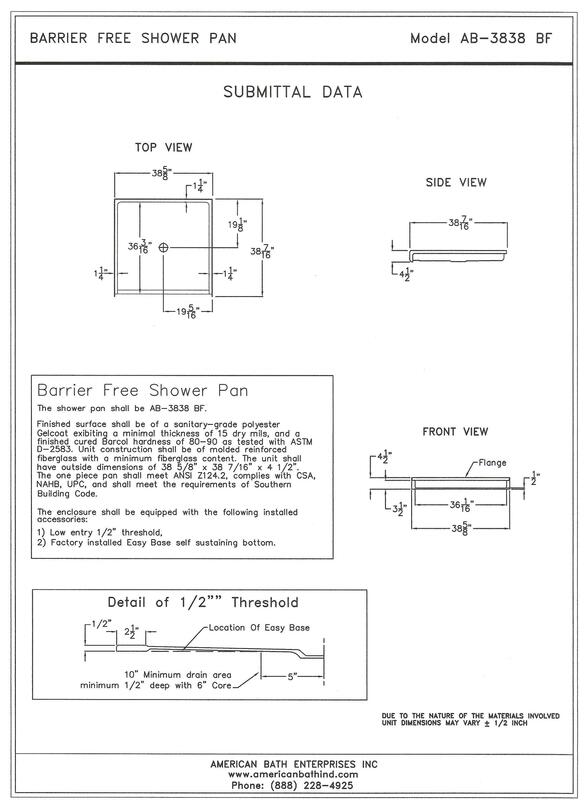 Installation instructions for the shower pans and other component parts are included in the boxes. If we could be of further assistance, please do not hesitate to contact our office.